Hailed as “a treat from far beyond” (Evening Standard), this “whirling paranormal kaleidoscope” (The Guardian) leads you on a chilling journey into the unknown, through eight stories set where the extraordinary is ordinary, the impossible probable, and where you’re never entirely sure what’s real and what’s your imagination. But don’t worry. Your imagination can’t hurt you…can it? Closing date Wednesday 25 February 2019. 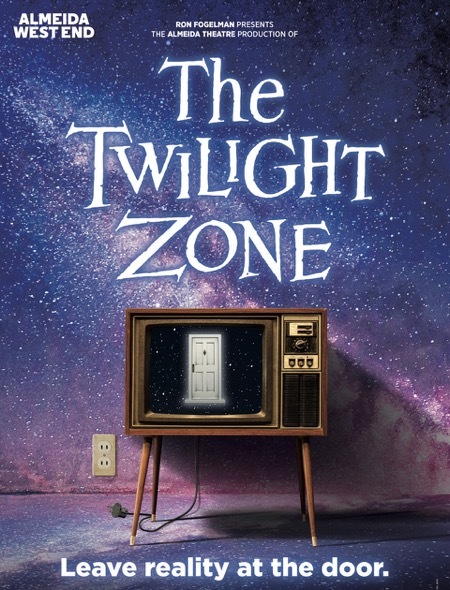 Terms and conditions: One reader will win a pair of Band A tickets to see The Twilight Zone at the Ambassadors Theatre, valid for Monday to Thursday evenings at 7.45pm and Thursday matinees at 3pm from 4 March to 4 April, excluding 12 March and subject to availability. No cash alternative. Travel and accommodation not included. TM & 2019 CBS.ARR. All Rights Reserved. 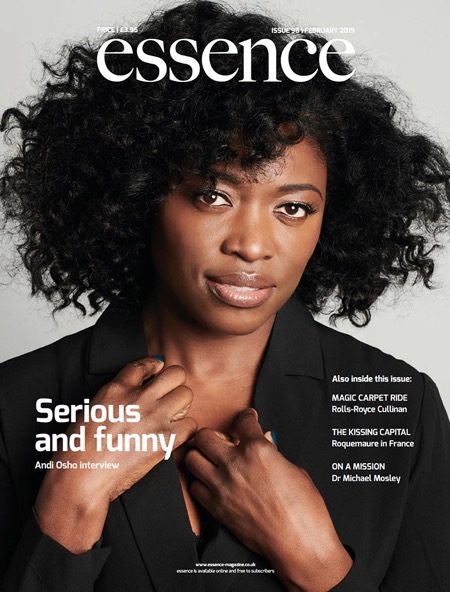 These rules and any other rules specified by essence magazine or Maple Publishing Limited (“essence”, “the company”) from time to time (“Competition Rules”) apply to any competition which is run by or on our behalf (“Competition”). By taking part in a Competition, you agree to be bound by the Competition Rules and by our decisions, which are final in all matters relating to the Competition. We reserve the right to disqualify any entrant and/or winner in our absolute discretion for any reason and without notice in accordance with the Competition rules. All entries must be received in the manner specified during the period in which the Competition is open and late or incomplete entries will be disqualified. No responsibility can be accepted for entries, which are lost, delayed, misdirected or corrupted during delivery to the place specified for any reason whatsoever. Entries must be submitted by an individual (not via any agency or similar) and, unless otherwise stated, are limited to one per household. Prizes may be provided by a third party sponsor of the Competition. We reserve the right in our sole discretion to substitute any prize with cash or a prize of comparable value. Unless otherwise stated, each Competition is open to all UK residents of 18 years and over (or lower age when and where specified), except employees of: (a) essence; and (b) any third party appointed by essence to organise and/or manage the Competition; and (c) the Competition sponsor(s). · grant us and any Competition sponsor(s) the right to use your personal information to send you information about their respective products and services, which may be of interest to you. If you do not wish to receive this information, please follow the instructions given. · warrant to us that the Competition entry is wholly original to you and not wholly or substantially copied from any other material and that the Competition entry does not defame, cause injury to or invade the privacy of or otherwise infringe or violate any statutory, common law, regulatory or intellectual property rights of any third party. You may be offered the chance to subscribe for a free newsletter or other service but failing to do this will not disqualify you from a Competition. If you are a winner, you may have to provide additional information (including, without limitation, proof of age or identity) and/or complete additional documents and return them to us within a specified period. Failure to provide additional information and/or complete additional documents within the required time period, or notification returned as undeliverable as addressed will result in your disqualification as a winner and an alternative winner will be selected. The name(s) of the winner(s) and details of the winning entry or entries will be sent to anyone who requests the same within three (3) months of the closing date of the Competition. · you acknowledge and agree that neither us nor any Competition sponsor(s) or any of their employees, agents or subcontractors shall have any liability to you whatsoever in connection with your use and/or possession of your prize, provided that nothing in these Competition Rules shall exclude or limit the liability of any party for personal injury or death caused by negligence or for anything else which cannot be excluded or limited by law. Unless otherwise stated, the Company is the promoter of the Competition. These Competition Rules and each Competition are governed by English law. Any disputes arising between us and any third party in relation to these Competition Rules and/or a Competition shall be subject to the exclusive jurisdiction of the courts of England and Wales (save that we shall be entitled to take action against a third party in any other jurisdiction).